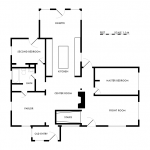 I’ve posted the house plan for the first floor. Window and door sizes and placements are approximate since I didn’t get all those measurements. 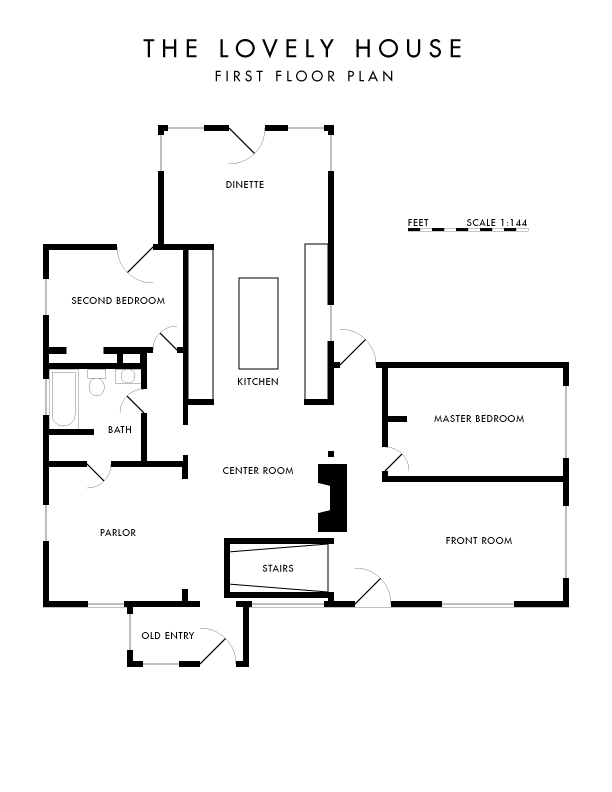 I’ll be adding the basement and site plan to this in the future, fine-tuning the measurements, and adding notes as necessary. The PDF version is mostly for us to be able to access and print out to doodle on whenever the mood strikes us. This entry was posted on August 11, 2009, 2:12 pm and is filed under Pre-Ownership. You can follow any responses to this entry through RSS 2.0. You can leave a response, or trackback from your own site.